Though heptarchy suggests the existence of seven kingdoms, the number fluctuated, as kings contended for supremacy at various times within the conventional period. 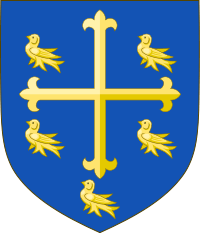 In the late 6th century, the king of Kent was a prominent lord in the south; in the 7th century, the rulers of Northumbria and Wessex were powerful; in the 8th century, Mercia achieved hegemony over the other surviving kingdoms, particularly with "Offa the Great". Yet, as late as the reigns of Eadwig and Edgar (955–75), it was still possible to speak of separate kingdoms within the English population. In reality, the end of the Heptarchy was a gradual process. The 9th century Viking raids that led to the establishment of a Danish-controlled enclave at York, and ultimately to the Danelaw, gained considerable advantage from the petty rivalries between the old kingdoms. The need to unite against the common enemy was recognised, so that by the time Alfred of Wessex resisted the Danes in the late 9th century, he did so essentially as the leader of an Anglo-Saxon nation. 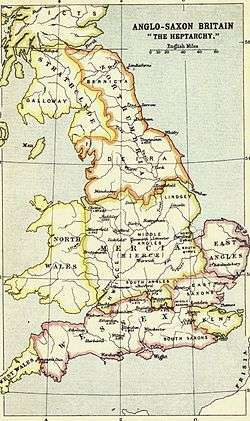 Successive kings of Wessex (and especially Athelstan) progressively reinforced the English unitary state, until, with the simultaneous dissolution of Mercia and submission of Northumbria upon Edgar's succession in 959, the old constituent kingdoms in effect became consolidated into one. 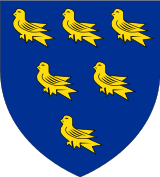 Recent research has revealed that some of the Heptarchy kingdoms (notably Essex and Sussex) did not achieve the same status as the others. Conversely, there also existed alongside the seven kingdoms a number of other political divisions that played a more significant role than previously thought. 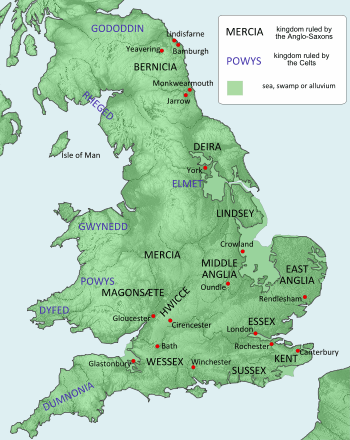 Such were the kingdoms (or sub-kingdoms) of: Bernicia and Deira within Northumbria; Lindsey in present-day Lincolnshire; the Hwicce in the southwest Midlands; the Magonsæte or Magonset, a sub-kingdom of Mercia in what is now Herefordshire; the Wihtwara, a Jutish kingdom on the Isle of Wight, originally as important as the Cantwara of Kent; the Middle Angles, a group of tribes based around modern Leicestershire, later conquered by the Mercians; the Hæstingas (around the town of Hastings in Sussex); and the Gewisse, a Saxon tribe in what is now southern Hampshire that later developed into the kingdom of Wessex. ↑ Historia Anglorum: the history of ... - Google Books. Books.google.com.au. 1996. ISBN 9780198222248. Retrieved 2010-04-09. Sawyer, Peter Hayes. From Roman Britain to Norman England (Routledge, 2002).